Whether it's a gift of time or money, it's never too early to start giving back to the organizations that have made a difference in your life. Two young University of Houston alumni couples, Trey and Kimberly Wilkinson and Hank and Tanya Matula, have already begun building a legacy for their treasured alma mater. Trey and Kimberly both graduated from C.T. Bauer College of Business: Trey with a BBA in marketing in 1992 and an MBA in finance in 2002 and Kimberly with a BBA in marketing in 1993. Today, Trey is a senior vice president and portfolio manager with U.S. Trust, Bank of America Private Wealth Management, and Kimberly is the director of marketing and business development at Powers Brown Architecture. When not at work, the couple is busy co-chairing The Great Conversation, an Honors College fundraiser. Trey is also on the board of the Bauer College Alumni Association. For Trey, the university offered what he calls the "perfect triad" of business education, honors courses and a golf team. So now he and Kimberly support the Bauer Circle of Honor, The Honor College's fundraising campaigns and Cougar Pride. The Wilkinsons' estate plan includes bequests to Bauer College, The Honors College and the athletics department. "It's important for alumni to give back," Kimberly says. "There aren't enough state and federal funds to educate the future leaders of our country, so we have to help do it." Hank '92 and Tanya '94 are also Bauer graduates. The two met on campus while Hank was earning his finance degree and Tanya her marketing degree. Hank is now a senior vice president in investments with Bank of America Investment Services. Tanya worked in sales and management until 1999 when she decided to stay home and raise their two boys. In addition to his affection for the Sigma Alpha Epsilon fraternity, Hank is a fervent advocator for the athletics program. He and Tanya do their part by helping fund athletic scholarships through Cougar Pride, holding football season tickets and attending all of the basketball games. The Matulas have also bequeathed a portion of their estate to Bauer College in their wills. "We want to make the university better," Hank says. "That is what alumni do." Along with a shared affinity for the business college and athletics, both the Wilkinsons and Matulas are grateful that the university made it possible for them to work their way through school. They are happy to give back so that other students can have the same opportunities they had. Both couples have provided Bauer College with endowments for student scholarships. 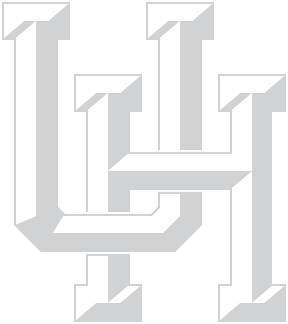 The actions and contributions of the Wilkinsons and Matulas exemplify the belief that you're never too young to begin establishing your legacy — one that will benefit future generations of students at the University of Houston.